South Africa's delis offer a wealth of global fare, whilst the rest of the world sell's its staples as speciality food. From juicy charcuterie to speciality dark chocolate, South Africa's delicatessens sell a wide variety of quality, organic produce that you won't find in the average supermarket. Garnering inspiration from throughout the globe, particularly the Mediterranean, South African delis provide a variety of cultural culinary delights. Situated in Green Point, Cape Town, Giovanni’s (unsurprisingly) mainly sells Italian produce. Notorious for great espressos and fresh bread, it offers a wide range of imported European goods alongside a bustling café. It was also awarded a “Certificate of Excellence 2014” by TripAdvisor. Ranked the number one restaurant in the Western Cape's George (despite not really being a restaurant) this small deli and eatery is definitely one to try. Lauren’s offers Israeli-inspired, home-cooked foods – including its infamous falafel shwarmas – and a great, welcoming atmosphere. Translated from French as “little sausage,” the Saucisse Deli sits at The Old Biscuit Mill in Cape Town. 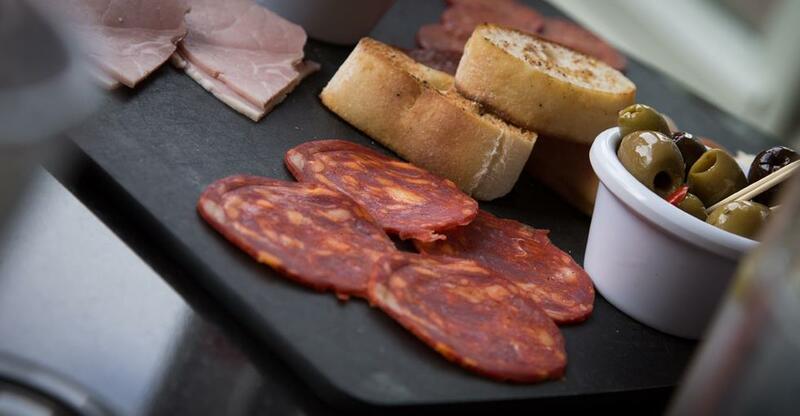 Originally, the idea for the deli was inspired by small, friendly Italian and French boulangeries and charcuteries. Here customers can enjoy the same relaxed atmosphere and authentic customer service. Nestled in Jeffreys Bay is the InFood Deli which boasts an accomplished array of delicacies produced with locally sourced and organically grown goods. At its heart is founder and owner Jayne Davies. Moving to the area in 2005, Jayne, whose previous acolades included catering for Prince William's 21st birthday and training with Jamie Oliver, found a lack of good artisan made breads and every city girl's morning essential - great barrista-made coffee. She went on to create a foodie heaven - the deli selling delicious scratch-baked breads using only chemicals and preservatives free stone ground flours, amongst other local delights, with the adjoining restaurant drawing in daily crowds. Surprisingly, very few delis in South Africa offer indigenous fare. Yet, all over the globe, specialist delicatessens are popping up and offering much loved South African classics. Last year the UK's Glasgow played host to its first South African deli. Owner Gisela Hans perhaps chose the name “Veldt” in order to invoke the wide, open spaces of the South African bush and the meaty, flavoursome cusine that has sprung from it. A welcome vision in rain-drenched Scotland, no doubt. Their coffee is from Dear Green Coffee Roasters, a 100% African blend, and the provide Rooibos tea alongside the world’s first Rooibos tea espresso. Having moved from SA to Canada in 1996, realising that it was a 'wonderful place to raise kids', Yvonne and Andrew Lennox went on to create Betsy’s South African Deli in Edmonton in 2009. They sell baked goods (including koeksusters, ystervarkies and melkert), meat products (borerewors and droëwors) and South African groceries. During the summer months they even set up a braii outside the deli for the local community to enjoy. Whilst Wally’s Delicatessen, located in Cardiff, Wales, isn’t primarily a South African deli – one of its most popular departments is South African foods. They offer a wide range of delicacies, from biltong to Windhoek lager. London’s busiest stations are considered prime retail locations – so it speaks volumes that a number of South African delis have popped up in their concourses over the past few years. Paddington, Victoria, Liverpool Street and London Bridge stations are all home to The Savanna, a South African Deli that’s making Londoners’ mouths water. They sell many home grown delights, including Ina Paarmans spice mixes, Mrs Balls Chutney, Ouma rusks, a variety of different types of biltong, South African wine and Bims kitchen sauces. South African deli-food is certainly making it's mark - whether in it's adventurous native outlets, or further afield . Take a glance at our delicatessens for sale in South Africa and the International Dairy Deli Bakery Association (IDDBA) for further information on the market.